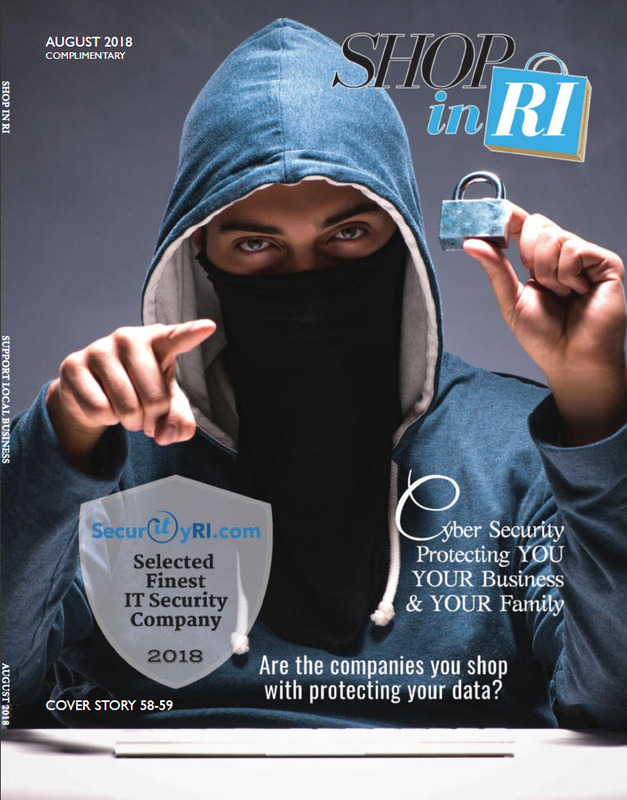 We would like to thank Shop in RI magazine for selecting SecurityRI.com as Rhode Island’s 2018 Finest IT / Cyber Security Firm. Shop in RI awards the top notable companies in New England, each year. This year’s event will be held at the Venus DeMilo on October 25th, 2018. 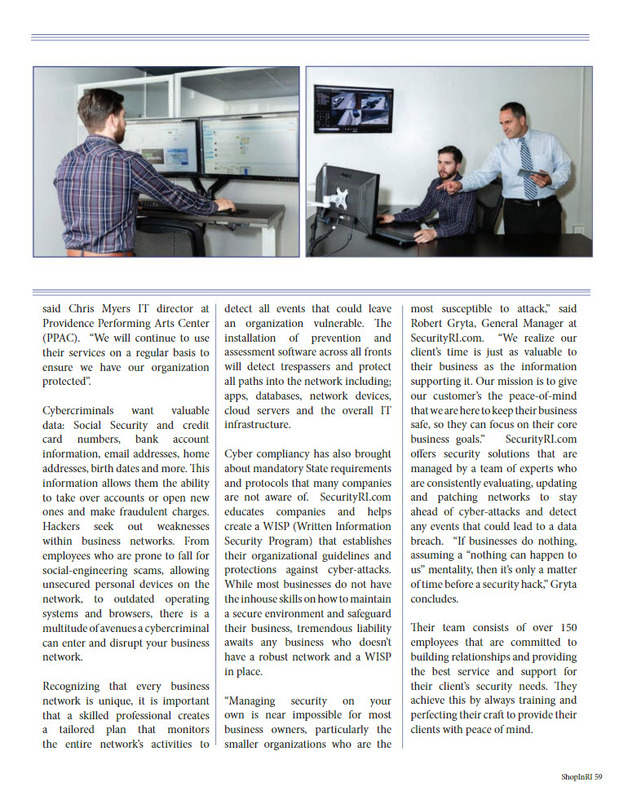 Shop in RI published a two page article as well in their Monthly Shop in RI Magazine August Edition. 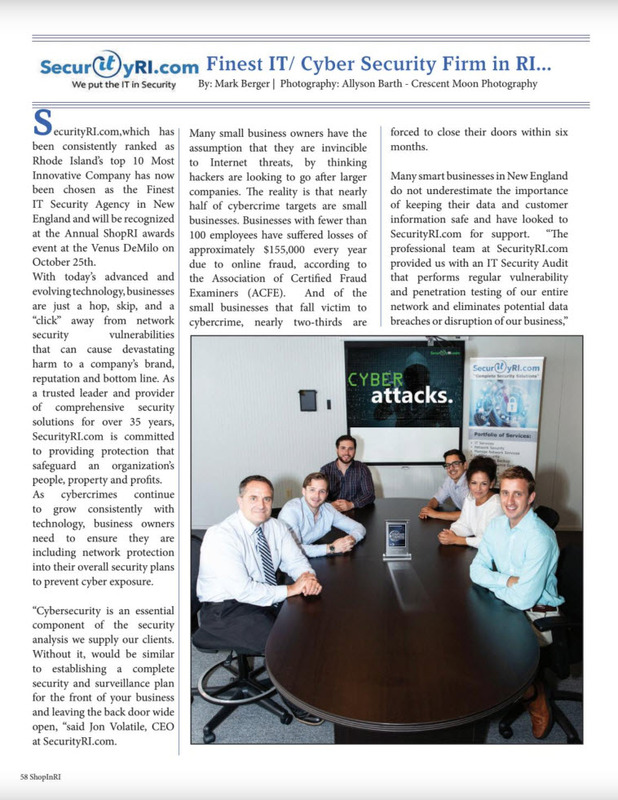 They touch upon how important cyber security is for your business / brand reputation and how SecurityRI.com can assist your organization.